Nje is a music producer and a performing artist, born and raised in Kenya and now living in the United States. He has been involved in the music industry for over twenty years. He is the Producer and Owner of Ufuoni (swahili for Seashore) Records and has participated in charity activities, organizing concerts and events throughout East Africa. 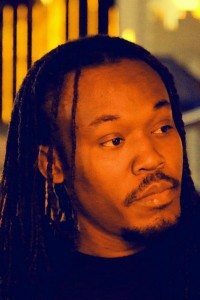 Nje is a conscious Hip Hop and Reggae Artist, influenced and inspired by the style of underground Hip-Hop and portraying positive messages in his music. He is still learning the Hip Hop cultures in the U.S. and as a Producer he targets the underground Hip Hop artist who never had a chance to get airplay on radio stations. He explores Hip Hop culture from all over the world.